Evan, you're absolutely right that the gap was apparently early (and somewhat often) during TasteCamp, and it was certainly no more apparent than it as during the Heron Hill-hosted tasting on Friday afternoon. You and I did a good job of not standing and tasting together much, but unfortunately I was right there with you for that "worst tasting ever" and you know already that I agree completely. Three steps to the right, you could get some world-class wine. That's the gap right there. I think that you're right that this gap is larger in the Finger Lakes than in other places, but that's not a reason to fret. 5 or so years ago, the gap was far wider on Long Island than it is today -- some of the lower-tier producers have gotten new winemakers in the cellars and are improving vineyard practices. They aren't overtaking the top (or even middle) tier, but they've raised the lowest rung, which is a good thing. There are very few wines from Long Island right now that I'd flat out refuse to drink -- far fewer than I tasted at that opening tasting at TasteCamp. It's interesting that you mention the cool-climate varieties and some varieties that may require explanation and story in the Finger Lakes. A week or so ago, I was having an email discussion with a friend who asked me "Lenn, in your ideal world, what would the Finger Lakes vineyards look like?" I recognize that this is going to be a contentious list given the discussion going on in the comments of Carlo's op-ed yesterday, but this is just one man's opinion of what the Finger Lakes could look like one day -- and if it ever does get to this point, I believe it would be seen not only as world-class (it's already gaining that reputation) but a premier region in the world. And lest someone think me a hybrid/native hater, if someone were to ask me what the Hudson Valley region would look like in a similar scenario, that list would be hybrid heavy, with a focus on baco, chelois and vidal, grapes that do well in their climate and conditions and that can makes some very good wines in the right hands. Interesting list, and mine would not be much different. As you say, the gap is not created because some producers make vinifera and some produce non-vinifera. In fact, the worst of the wines I tasted over TasteCamp weekend were vinifera. Closing the gap isn't about making exclusively vinifera-based wines; it's about improving growing practices, improving winemaking practices, and improving the interaction with customers and writers. Right...this is definitely NOT a hybrid vs. vinifera gap -- I hope my original comment didn't make it sound that way. Here's an interesting set of questions that might lead to some debate as well: With so many wineries in the Finger Lakes...is there enough winemaking talent to go around? With so many vines in the ground, is there enough grape-growing talent? The product poured at wine festivals is hard to sell... to you, Evan. I think we need some winery owners/tasting room folks to chime in vis-à-vis sales of sweet vs. dry wines. I suspect you may be underestimating the number of consumers who buy up the bottom of the list. Again, this isn't about dry vs. sweet, or vinifera vs. non-vinifera. The very worst wines of the weekend were all vinifera, in my view. It's about quality, whether it's vinifera, hybrid, native, whatever. You can make sweeter wines and do it well, like Seneca Shore or Hazlitt's Red Cat, for example. The bottom-feeding festival drinkers are not the customers who spend big dollars on wine. Thin margins on cheap products are not going to elevate the reputation of the region, and not going to sustain quality farm products and practices, and not going to lead people to improving their drinking habits. I doubt that the industry is heading that way frankly, and I doubt the guesswork about who's drinking what, but it is true that 4L bottles of Carlo Rossi and Lake Niagara are dying out, slowly but surely. Gallo didn't plant 4,000 acres of vinifera in Sonoma last decade because people are move towards sweet and cheap. The appeal of cool climate wines = matching with food. Not once during the weekend did a winemaker mention to me that the structure and flavor profile of their wines (reds and dry Rieslings esp) make them great matches with food. Granted, we're wine dorks who are happy to taste (or drink) wine solo all day long, but most of our readers aren't. The average reader of my blog cares a lot more about what to eat with off-dry Riesling X from the FLX than what the RS is--as well she should. We've heard this statement already in the previous thread. Call me a scientist, but I want some numbers and some evidence from Finger Lakes wineries. For reference, here are the current most planted varieties, sorted by tonnage. Unfortunately, the latest reference I could find was 2006. I'm sure vinifera numbers are increasing, especially Riesling, which is probably on its way to 700 acres at this point. Looks like I had some pronoun agreement issues in my previous post, but the point still stands: it's the food! When you're making food-friendly wines, make that a big part of your sell. Tom: Thanks for the variety data. Of course the top to (at least) is mostly for juice and jelly, right? I'm surprised to see that gewurzt is so minor. I'd like to hear what you have to say about my list...being a "best case in the future." I know you're one of the more pro-hybrid wine geeks that I know, so I'm interested in your perspective. I'd be curious to hear from some FLX wine folks as well, but I don't think anyone can dispute that the margins are thin on wines like Red Cat. That's all about volume. Sasha: Were you at Ravines? I seem to remember quite a bit of talk about the food-friendly nature of the wines, but maybe I'm wrong. Maybe if you came to all of the events I wouldn't have to ask hehe. True, I wasn't at Ravines -- Morten is a happy exception. But I think the vast majority of producers should have been talking about food in a big way, and I got enough of a cross-section (and engaged a number of them one-on-one) to know that wasn't the case. Nice post Evan. One comment that was made by Peter Bell Friday evening at Red Newt was the three winemakers of Tierce sit down and critique each others wines openly and honestly. They do this so each can achieve better quality in their wines. It shows in their product. What I have noticed is many winemakers don't want that criticism, from another winemaker or anyone else. They take it personally and don't realize this is a business and it's a way to improve your business by improving the quality of your product. Quality will improve when wineries focus solely on quality and not on quantity. And "quantity" includes the number of wines some wineries make. With the relative small size of most FLX wineries I have a hard time swallowing (literally) a wineries ability to produce 20+ different wines. The "something for everybody" route wouldn't be my first choice if I operated a winery, but you would have to ask someone who does it what their business plan looks like. And Len was surprised by the small amount of Gewurtz planted. Speaking as someone in retail, the demand isn't there for it.....yet. Keep telling the story and maybe they will come. I think the double-edged sword in the region can be related to the barriers of entry to open a winery. If one were contemplating opening one in a more established wine region (either west coast or Europe) the cost of doing so (land, grapes, building, etc.) would warrant more time and research and probably more experience. That being said, many of the higher quality producers in the Finger Lakes probably wouldn't have had the opportunity to showcase their styles with higher costs. Great article, as much excitement as there is about the wines in the region - taking an honest look at things is important. I met a few months back with someone from one of the wineries on the "good list" above. She had just come from a tasting at a winery up the street and said "we are so lucky to have our winemaker here...I really didn't like a lot of what I tasted". She wasn't being a homer, she was being honest. Nice blog. Being a wine lover, I enjoyed going through your blog. Tasting Wines is a Fun and Delicious Learning Experience. 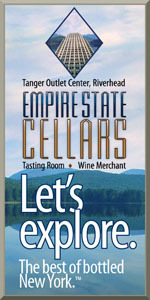 Unlike most wineries in France (often a reference point) the sales in the Finger Lakes wineries are driven by the positioning of the winery as a tourist attraction. Much like any tourist attraction you must have many cute and shiny things (sweet and fun wines) for the "tourist" to buy. Until the distribution of "fine wines" outside of the region hits the tipping point where these tourist driven operations can afford not to sell the cute and shiny, then we will be dealing with this for some time. I have a friend in Gigondas who is considered one of the top producers and when we talked about how much more money he could make if he increased his "cellar door" sales he giggled and said but that would mean people/tourist would be knocking on his door (typically the winery is at his home) on a Saturday to taste wine and have their picnic lunch in his backyard - "NO THANKS!" was his response. He would rather concentrate in having good export and distribution channels. I sound like a broken record but until we have some kind of AOC system that helps consumers by guaranteeing (as much as a system can) quality/place then it will be a difficult battle. Dan - On rare occasions, I find a wide portfolio to be compelling. Often it seems more like an unimaginative producer that feels the need to make one of just about everything. Easy to stretch thin that way. But I will say that Channing Daughters on Long Island is one producer with a wide range that brings a thoughtful approach to each cuvee. It's cool stuff. Tom - Very, very good point. And yet, this region needs to move beyond excuses, even if they're potentially valid. Gordon - That's a story I hear quite often, unfortunately. Rick - Keep the broken record playing, then. We're going to have more on that subject in coming weeks. I think there's some momentum to see it happen. A great, thoughtful post as usual Evan, but I'd argue the reason for the gap between good and bad has more to do with perception than anything else. Consider this: why would a winery that produces lackluster wine show up to an "expert" tasting with that wine? Do they want to be ridiculed? No...the people making it must think it's good - even if it objectively is not. I've seen it time and time again in my trips around the lakes - nice people making not-so-great wine. You feel bad, so you nod and smile and try to leave before you feel so guilty you buy something. And you never go back. It's the last part that will increase the overall "greatness" of the region. The more customers demand better wine (and I think they are) the more the wineries will adapt or die. And if that means the owners kicking out a winemaker or forcing him or her to re-think their palates, so be it. The number of good wineries in the Finger Lakes keeps growing. The number becoming great has increased exponentially in the last few years. That can only be seen as a good sign those other ones will have to come along for the ride. Scott: I think that your last paragraph says it all -- the number of good wineries IS increasing. That's why I think we can all be hopeful. Your point about nice people making not-so-great wine is sort of where my "is there enough winemaking talent to go around" question came from. Is there? Tourism vs. quality is a delicate balancing act for wineries who try to do both, which several try to do. Even some of the wineries that I consider the best in the region make simpler, easier wines to appeal to the tourists. With time, I think the region will shift towards more quality, less junk, closing the gap. 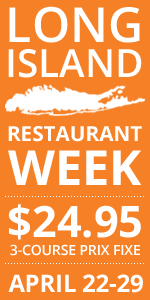 "Even Long Island doesn't suffer from nearly this massive a disparity." I think this might be a case of looking at the glass as half empty instead of half full - I find it overly critical considering all the gains this industry has made over past few years. Let's remember that change and evolution in the wine world does not happen overnight. 15-20 years ago the level of wine quality in the FLX - as well as on L.I. was nowhere near what it is today. Yes there is room for improvement but one must be patient. How many acres of vinifera were being grown in the FLX in 1980? Not many. Same on the Island. How old are the majority of these vines today? I think people can lose site of how much time it takes to completely develop a region, especially in the Northeast where governmental assistance and money for research, development and especially marketing, are extremely limited. "World-wide prominence" might still be a ways off but we are well on our way. What's important to me right now is that our region is headed in the right direction and that we are continuing to learn how to produce wines that best express our terroir, exhibit local style and offer consumers a real choice in an overcrowded marketplace. Regarding the comparison to Long Island, the point I thought I was rather obviously making is this: The two wine regions are in the same state, have some common themes, but they do not exhibit the same consistency of quality. The Finger Lakes lags in that regard. The rest of your points are well made and I agree. My main point, however, is that there are too many excuses in the Finger Lakes. "Well, I don't have time to drink wines from around the world. I just drink local." "We've always cropped at X per acre, and we think the wines are just fine." Stuff like that. And at TasteCamp, the results are on display. Equally important is the fact that, despite this march toward world-class standards, the laggards are heavily present in the marketplace. That does untold damage to reputation and consumer buying habits. The piece is not meant to take away from the myriad positive developments. I think this site, my own writing, my upcoming book, and the TasteCamp attendees have done that well. But we ignore the problems at our own peril. By the way - and yes, I'm particularly annoyed at those who only drink Finger Lakes wines - I can't tell you how many industry professionals up here don't even sample Long Island wines. It's more than a little silly. Rich: I think maybe you're reading Evan's comparison to Long Island in a way it wasn't intended. He's just comparing two emerging regions within the same state with some of the same challenges and opportunities. The reality is that the Long Island region is far younger than the Finger Lakes region and in terms of overall quality, I think it's far ahead. I don't think this post takes away from the gains of the NY wine industry at all -- it merely points out places for improvement and some ways they could begin to be addressed. No one is saying that this is a horrible current-state, but no one is saying it's perfect either. Hard to argue with that, no? One could make the argument that the Finger Lakes wine industry has been mostly guided by the customer base it serves and Long Island the same - hence the marked difference in available "daily" wines. This would also help to explain the cultural differences (lack of international knowledge/curiosity) within the industry being discussed between the two regions. Spend a Saturday in a tasting room in the Finger Lakes and the differences between Long Island are considerable. I have a friend who bought a number of Drive-In Movie sites around the Washington DC area many years ago. At one point I mentioned that Drive-In's seemed like a lousy business to be investing in.